The rich Autumn colors begin to fade and leaves fall gently to the ground. As the days shorten and the sun sits low in the sky, something stirs within the bones of the earth, and she awakens. She is Cailleach, the veiled one. Said to be daughter of the Winter sun, mother to all gods and goddesses and grandmother to all peoples and races of the earth. Wise and cunning, bright eyes and sharp of wit, she sets forth with her magical staff to freeze vegetation and call down the snow. 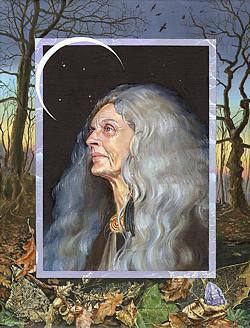 It is on November 1, in her honor, that we celebrate the festival of The Reign of the Cailleach. It is said that she is the creatrix of great hills and mountains; some formed by dropping heavy boulders from her apron, others built intentionally. She is the guardian spirit of wild animals, though most widely known as protector of the deer. She demands respect from hunters and must be allowed to choose which deer to cull and when, for it is she who keeps a healthy balance between humans and nature. When she is disobeyed, there are always consequences. She is the goddess of the sacred hill, the Sidhe, and the great portal between the worlds of men and spirit beings. She is often found among sacred stones and burial mounds, being connected to the ‘bean sidhe’ or banshee, spirit women who warn of death. As governess of dreams and inner realities, she will call you into the darkness, and blatantly peer into that which has been forgotten. This call to Self, to the internal land of all that is and all that is yet to be, comes from the dark crone herself. 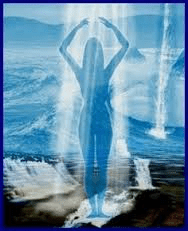 You abide, consciously or not, and whether she invoke love or terror, dread or hope, her power cannot be denied. She is the goddess of both death and transformation. It is her whispers which tell you what must be buried and what must be born. Like it or not, you know your very survival depends on her wisdom. The Cailleach is ravenous upon her awakening and parched with thirst. Go to her and share your finest red meat, root vegetables, soups and bread. Share your whiskey or mead. Give your humblest gratitude for her return. For it is only with her that you will conquer your deepest demons. 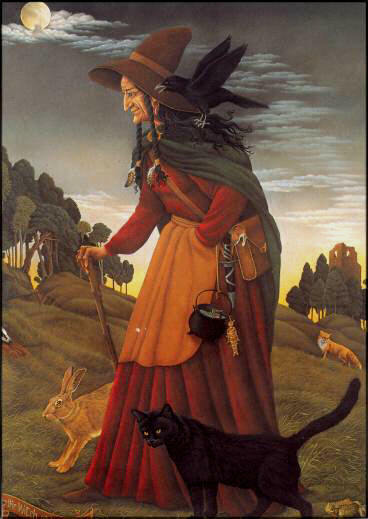 May we all be held within the Cailleach’s grace. Winter has come. Bringing along its snowflakes, whistling winds, and darker nights. Causing all living things to feel the need to hibernate against this bitter cold, only to return again in the spring refreshed and new. 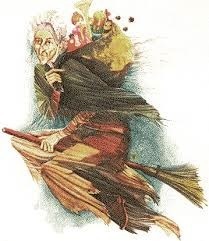 Cailleach governs all of this. 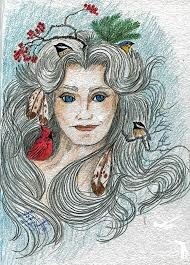 She is a Celtic winter goddess, as well as creation and transformation deity. She is in the rocky mountain tops and hills. Her blanket of snow rests quietly over all that lives beneath its preserving grasp. She is a death goddess, who lets die out what is no longer needed (in nature and within ourselves) but she also plants the seeds for new life to grow. 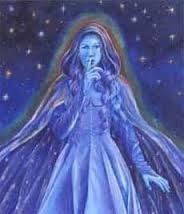 A very, very ancient goddess, previously worshiped in Scotland, Cailleach was so well respected she was said to have created the earth, with her hammer. Banging out mountains and carving out streams. 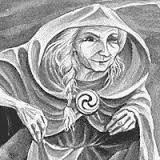 Cailleach was a unique beauty. She was depicted as an old women, with blue skin, bears teeth, matted hair, and piercing eyes. On top of all that fierceness, she could also give kings the power to rule their land. Cailleach reminds us what winter is all about. A time for renewal. A time for hibernation, even if its just a mental hibernation. Those moments alone, digging deeper into your very core, are highly important to ones mental health. With Cailleach there to guide you into the spring, as a refreshed individual, she can teach us all vast lessons about creation. Strengthening us even more for the coming seasons. Meditate upon this wise women. What things in your life need refreshment or change? 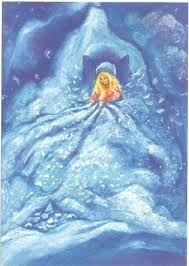 Let her guide you within the realms of her snowy earth. Also make sure to give the animals some food to hibernate with. Like nuts or berries.